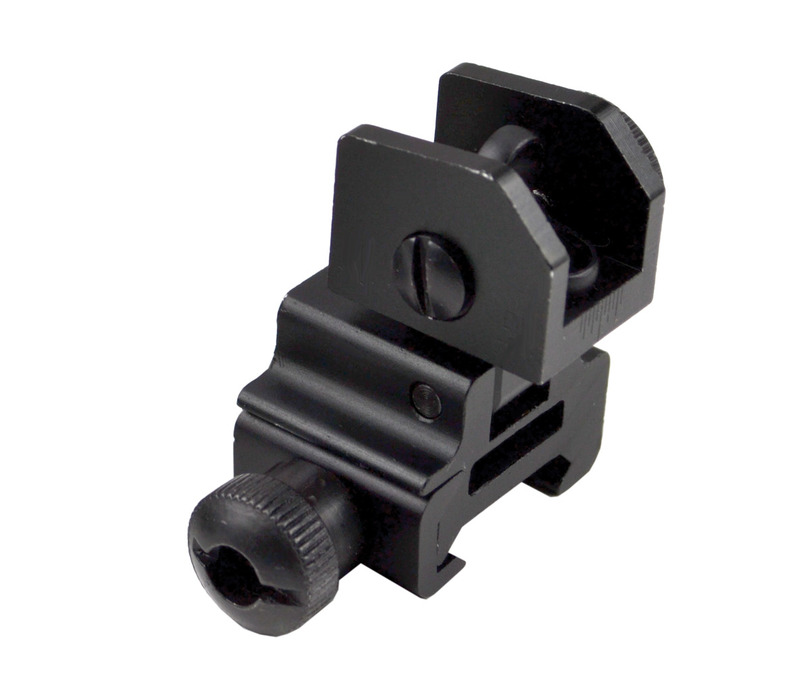 Sniper® Complete Rear Iron Sight. 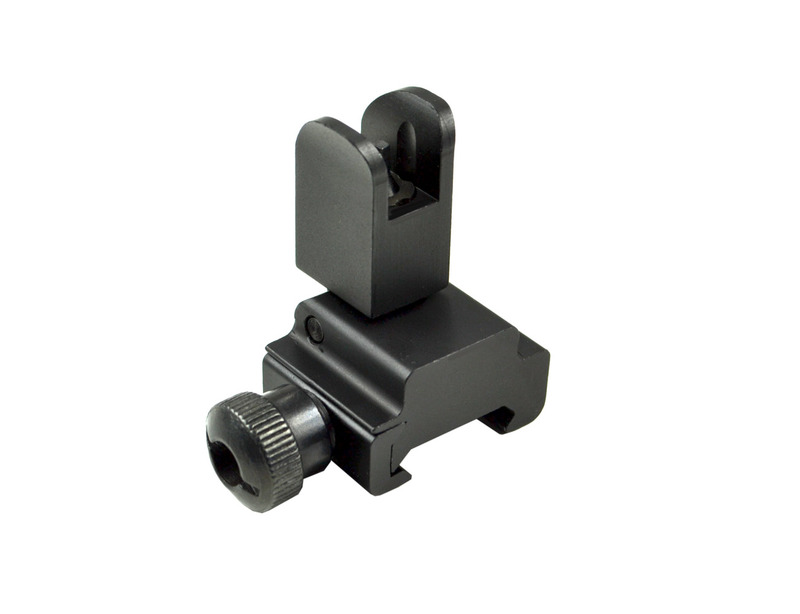 • Black Matte • Rugged Aluminum/Steel Construction • Precision Mil Spec MOA Windage and Elevation Adjustments • Spring Loaded Detent • Dual Aiming Apertures • Length: 2.8inch. 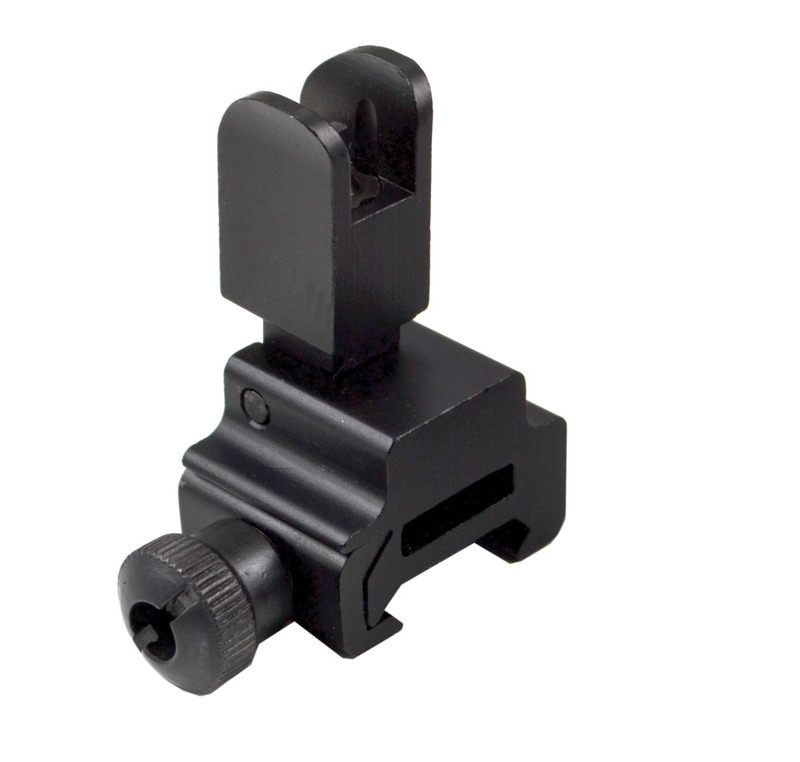 Width: 1.8inch. 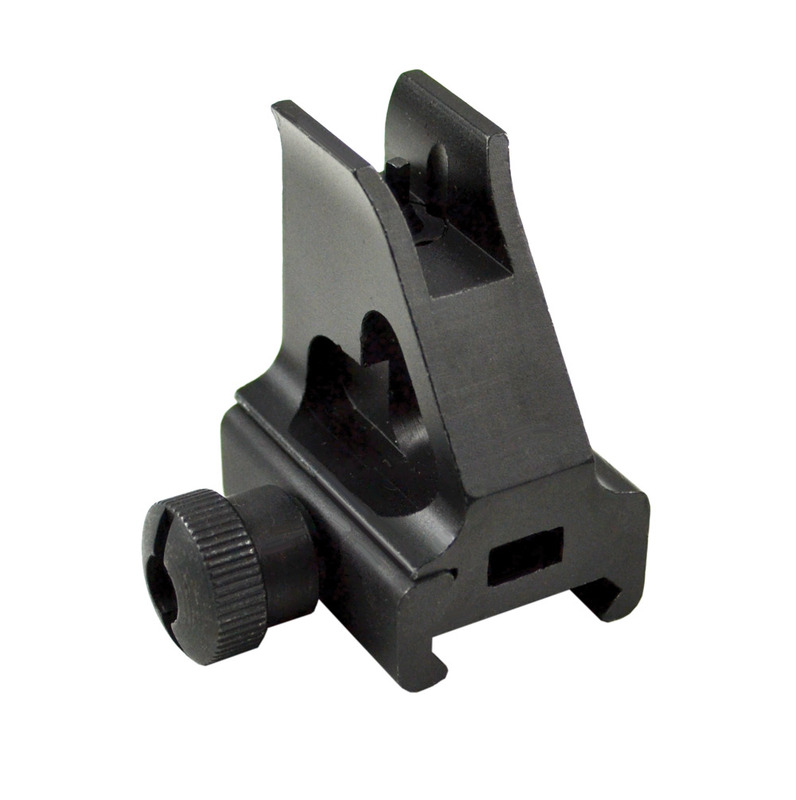 Height: 1.9inch. 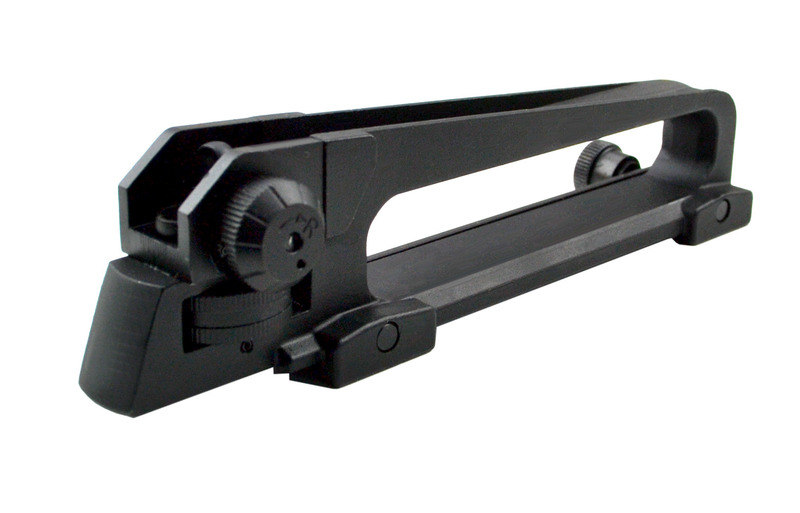 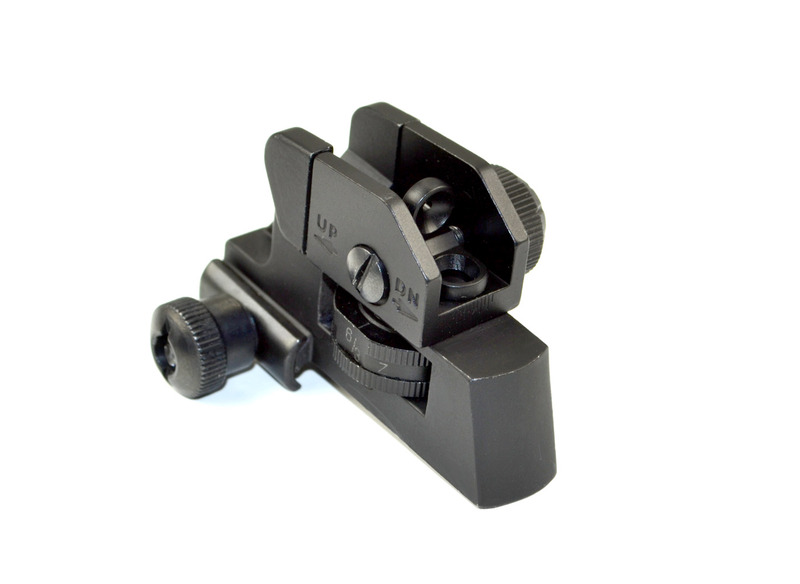 Sniper® High Profile Front Iron Sight. 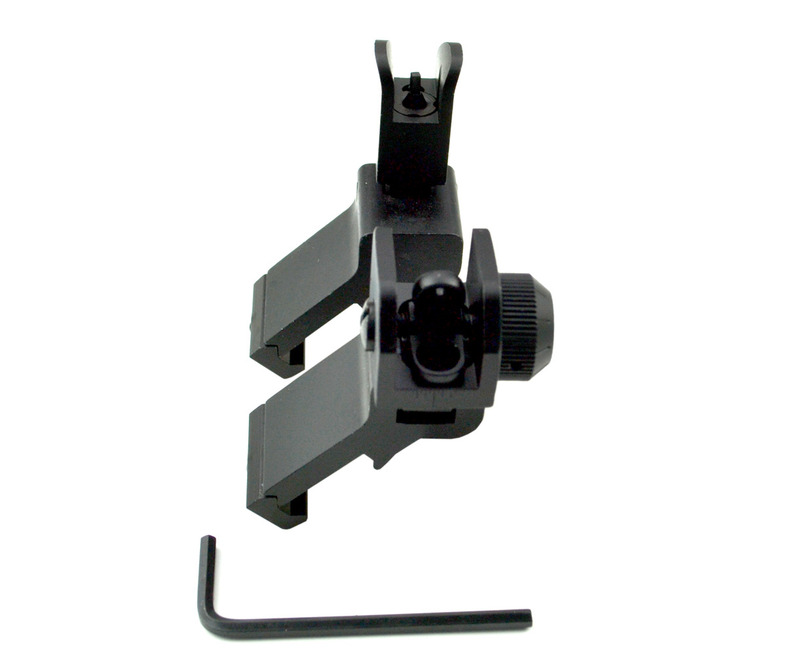 • Black • Complete with Adjustable A2 Square Post Assembly • Precision Elevation Adjustments • MDTFS01 Mounting Base Length 1.38”, Saddle Height 1.66”, Weight 2.7oz.